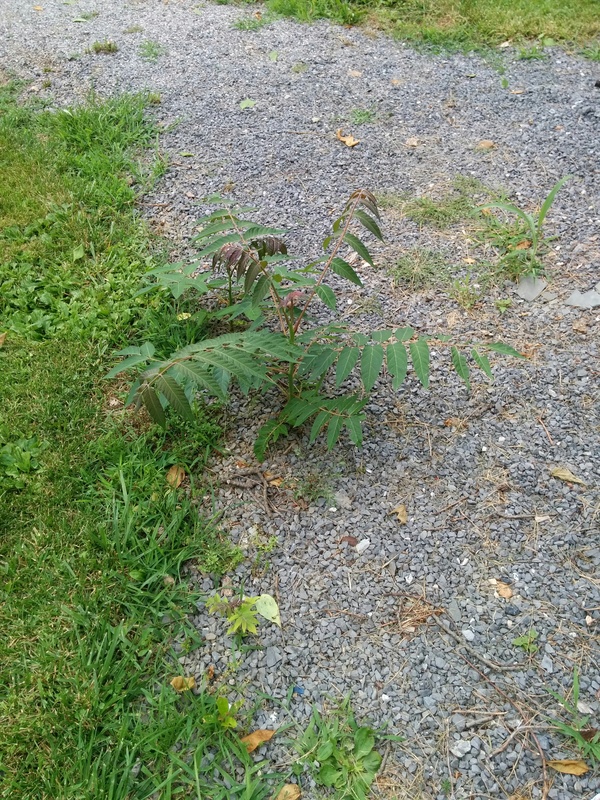 I’ve been flagging all the Ailanthus trees (tree of heaven) in the pasture so I can take them down this winter. There are a few that are a bit more pressing so I took them down by hand while I wait until I have access to a chainsaw. This tree was located on the edge of my wildlife plot and blocked my bow lane from a treestand. With a hand saw the tree was felled. Leaves are left on the tree as they continue to transpire pulling water from the stem which aids in the drying/seasoning process. The deer had stripped off every single leaf leaving only the winged samara fruit. Glad something enjoyed the tree at least. More importantly the deer, hopefully goats in the future as the two animals share much of the same browsing habits, will be allies by consuming tree of heaven seedlings that sprout in the future! I have to admit, I suspected this to be the occurrence. Denial is the only thing I have to blame for not investigating further. Whole (unpublished) posts have been written on the great ecological benefits of having sumac trees on the farm. 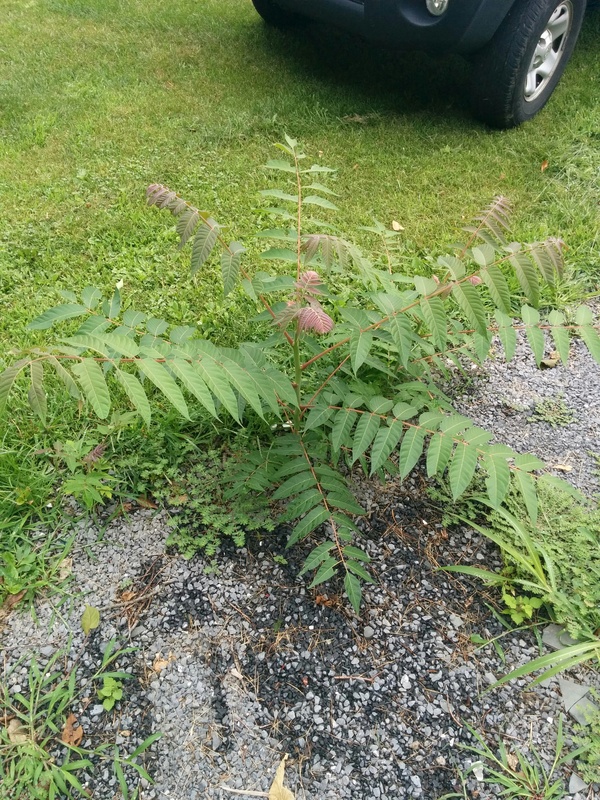 Alas, as the flowers have given way to seed there is no more doubt that my large grove of sumac trees are actually Tree of Heaven, or Ailanthus altissima. While I’m collecting my thoughts on our overuse of the term invasive, there is no way to include these trees in that argument. 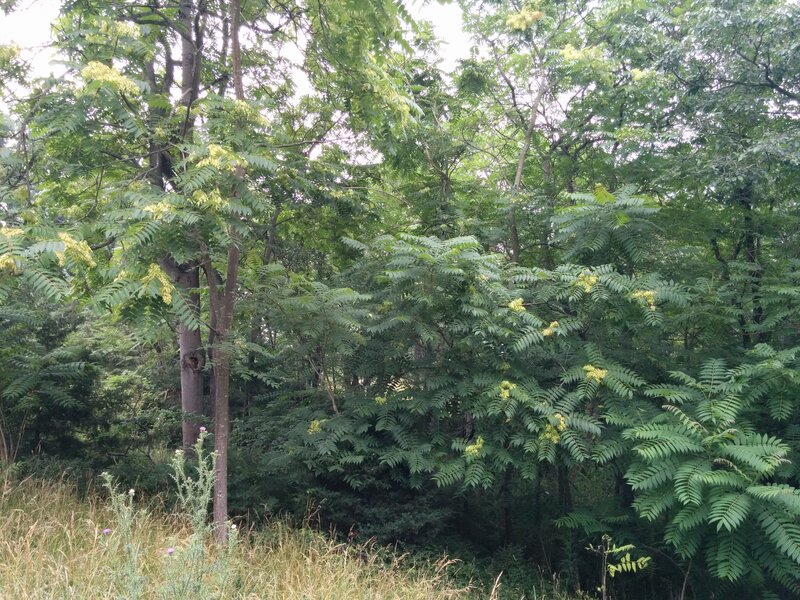 Ailanthus trees exude chemicals like ailanthone to inhibit the growth of other plants helping them establish dominant stands. It is much like juglone excreted by trees of the Juglans genus (eg: black walnut) but at a much more destructive level. Without action, these trees will continue to take over and dominate the pasture. The strategy to address this issue will be covered tomorrow. For now, I must lay to rest my dreams of making the lemonade flavored tea from the sumac fruit.